The Law of July, 7th 2016 on the Polish Constitutional Court (hereinafter to referred as “the Law”) leaves no doubts that the parliamentary majority lead by Law and Justice party (PiS) is not holding back and is determined to see its plan through to make sure that Polish Constitutional Court (“the Court”) is finally tamed and incapacitated. By way of a statute, the 1997 Constitution is picked to torn to pieces and its provisions short-cut at every corner. The Law signals the death knell for the Court. The institution once recognized as powerful, efficient and independent from whatever powers that be is left at the mercy of the politicians, and unable to effectively wield its power of judicial review. Most importantly, the Law will make it impossible for the Court to provide an effective check on the excesses of parliamentary majority. When read in the light of the previous case law of the Court (in particular the judgments of: December, 3rd, 2015 1)case K 34/15; December, 9th 2015 2)case K 35/15 and March, 9th, 2016 3)case K 47/15 and in the Opinion of March, 11th, 2016 of the Venice Commission (no. 833/2015), the Law reintroduces the provisions that were already either disqualified by the Court as unconstitutional, or criticized by the Venice Commission. It is clear that the PiS decided to engage in a tactic of waiting game, hoping that EU faced with Brexit will let this time Poland off the hook. Many of the Law’s provisions are verbatim repetitions of the old Law that the Court had struck out as unconstitutional in its judgment on March, 9th 2016. There is no doubt that PIS is neither interested in implementing the opinion of the Venice Commission, nor following clear constitutional commands as interpreted by the Court. The Law leaves the Court toothless and vulnerable to outside pressure. Its common themes revolve around the increased role of the executive in the daily functioning of the Court, making the Court a constitutional figure-head and rubber-stamp for the majority and undermining the Court’s ability to function effectively. Attack on the Court has two dimensions: external and internal. External opens up the possibilities for the executive to unconstitutionally interfere with the Court in a way that makes the Court dependent on outside forces. Internal deals with these provisions that tie the Court’s hands from the inside and cripple its ability to act in a timely and speedy fashion. What comes across most strongly is that independent and efficient Court ready to uphold the Constitution against the ruling party is the last thing PiS wants. The Law provides (art. 264)2 the minimum number of judges to sit on Full Court. For the Court to sit as Full Court, participation of at least 11 judges is always required. There is a danger thus, that requiring the minimum number of judges will lead to the marginalization of the Full Court and inability to effectively convene it, where necessary. Where, for objective reasons, the number of judges who are able to sit, is lower than the number statutorily required for deciding as Full Court, the Court will never be able to sit as Full Court. As a result vast powers reserved to the Full Court (art. 26 5)1 of the Law) will remain on paper and will become devoid of any practical significance. In accordance with art. 38(3) of the Law, dates of hearings are to be set in the order in which cases are received by the Court. This is classic example of pushing ahead by PiS with the provision that the Court has already ruled to be unconstitutional. In this case it is inconsistent with art. 173 in conjunction with art. 10 of the Constitution as interfering with the judiciary’s independence and its separateness from other branches of government: “the determination of pace at which particular cases are considered – including the setting of the dates of hearings and the dates of sittings in camera – is (…) inheres in the Court’s adjudicative function. The legislator’s task is to create optimal conditions, and not to interfere in the process of adjudication by specifying the moment when the Court may consider a given case. (…) Indeed, the Court’s independence requires that it be guaranteed discretion in adjudication, by excluding any impact of other authorities not only on the content of its rulings, but also on the process of issuing them”. Also, in its Opinion of 11 March 2016, the Venice Commission noted that “an obligation to hold a hearing and to decide in a strict chronological order risks not being in compliance with European standards. There must be room for the Constitutional Court to continue and finish deliberations in certain types of cases earlier than in others” (point 65 of the opinion). Art. 43 of the Law introduces important substantive limitation on the Court’s constitutional powers. It deviates from the Court’s power of review as set forth in art. 188(1) – (3), art. 79(1), and art. 193 of the Constitution. Art. 43 specifies that the review will be limited to checking the content of the act and the procedure in which the act was enacted. As such, it turns blind eye to the Court’s power to review whether an organ had a competence to enact a normative act and declare an act unconstitutional as a result of the lack of competence. The review powers of the Court are delimited constitutionally, not statutorily. It is another example of classic and favourite method of PiS that was already on full display in previous cases decided by the Court in December 2015 and March, 2016: overriding the Constitution by way of a statute. Since art. 188(1) – (3), art. 79(1), and art. 193 of the Constitution comprise no competence restriction on the power of review of the Court, the legislator must not introduce such restrictions via the statute. Should we accept this, the entire integrity of the constitutional document would be seriously weakened and compromised. It would also open it up for endless statutory corrections and bring to mind practice prevalent in the communist Poland whereby Constitution was mere ornament, and the regime ruled by statutes. It would turn the hierarchy of the system and the supremacy of the Constitution on its head. The provisions of Article 68(3) – (5) of the Law are a novelty and hide the essence of “Court-packing” plan. They set out procedure allowing at least 4 judges of the Court to raise during the deliberation, an objection(s) related to a proposed judgment, every time important “institutional issues or issues on the public order are at stake”. Should this blocking minority materialize, the deliberations on a case is adjourned for at least three months (Art. 68(6)), and – should the blocking minority continue to uphold its objections – for further six months (Art. 68(7)). Adjournment is fixed and cannot be shortened which ties the Court’s hands. Should judges of the blocking minority be willing to compromise or meet with others judges before the lapse of the three-month period of time, they will be debarred from doing so. Deliberations will be reopened only after the lapse of the three-month period. The adverse affects of the blocking minority will not stop here, though, and might be extended to other cases as well. Due to the obligation to set dates of hearings, for the consideration of applications lodged at the Court on the basis of the order in which the applications are lodged (Art. 38 6)3 of the Law), a delay would also occur in the consideration of applications other than the one with regard to which the judges have raised objections. The Court would have to first resolve the case in which the judges have raised objections, and only then it could proceed to rule on other cases. The judgments of December, 3rd , 2015 (K 34/15) and of March, 9th, 2016 (K 47/15) laid down a clear principle whereby “in the context of the Court’s systemic position and the unique nature of its competence, it is particularly justified that proceedings before the Court should be effective and would result – within a reasonable period of time – in issuing a final ruling, especially in cases that are of significance for the functioning of the organs of the state as well as for the exercise of rights and freedoms enshrined in the Constitution. This follows from the principle of efficiency in the work of public institutions, which arises from the Preamble to the Constitution. (…) Consequently, a statutory model of proceedings before the constitutional court needs, on the one hand, to take account of the unique nature of the Court’s systemic function and, on the other, ensure efficiency in the exercise of the Court’s powers” Furthermore, “the legislator may not lower the previous standard of diligence and efficiency in the work of an existing public institution”. The procedure introduced in art. 68(3) – (5) will undoubtedly affect the speediness with which the Court disposed of cases in which objections have been submitted by the blocking minority and will push the Court to the brink of internal standstill. Article 12(2) of the Law envisions that in the case of the termination by a final decision of the General Assembly of the Court of the mandate of a judge, the consent of the President of Poland is required. This raises serious constitutional reservations. It opens up the Court to an interference by an executive branch of the government. The interference results in nullifying the legal effects of the ruling by refusing to implement the ruling. Making the implementation of the Court’s disciplinary ruling contingent on the consent of the President not only impinges on the independence of the judiciary (art. 173 of the Constitution) and violates the principle of the separation of, and balance, between powers (art. 10 of the Constitution), but also contravenes the principle of the independence of the judges of the Court (Art. 195(1) of the Constitution). The existence of separate judicial disciplinary proceedings is one of the staples of the Court’s jurisprudence on the independence of the judiciary. Separate disciplinary system of responsibility guarantees judicial independence. It should be recalled here that in case K 47/15 the Court left no doubt that entrusting the Sejm with the power to recall a judge of the Constitutional Court from office by way of a special procedure upon the application by the President or the Minister of Justice, infringes the Court’s independence, the separation of and balance between powers (Art. 10(1) of the Constitution). The Court noted that “the Sejm, as an organ of the legislative branch of government, may affect the organs of the judiciary, including the Constitutional Court, only in so far this does not violate the autonomy of the judiciary, and primarily in situations set out in the Constitution (…). The role of the Sejm was restricted by the constitution-maker to the election of judges of the Court. After the election of a judge of the Court, the Sejm definitely loses its influence over the status of the said judge”. This dictum (accepted by the Venice Commission in its opinion) must hold true a fortiori for any interference by the President. The latter has no constitutional powers to interfere in the process of selecting constitutional judges. Should the termination of the term of office be contingent on the consent of the President, this would infringe the principle of the Court’s independence, separation of, and balance between. It would be tantamount to adding by statute to the President’s powers in contravention of the Constitution. Hence, another example of “amending” the Constitution by a statute. The interference by the executive extends beyond President, though. Art. 12 (2) of the Law will also entail the power on the part of the Prime Minister to affect the status of the judges of the Court. For an official act issued by the President to grant his consent in accordance with art. 12 (2) to be valid would have to be signed by the Prime Minister, thus bringing another non-judicial player in the mix. This is another example of a statute shortcutting the Constitution: Prime Minister who has no constitutional powers to determine the composition of the Court, will have its say in the implementation of the disciplinary rulings of the Court. Serious constitutional reservations arise due to the proposed mechanism of selecting an unspecified number of candidates for the positions of the President and Vice-President of the Court. Article 16(1) read together with point 7 of the Law provides for “at least three” candidates elected “from among the judges of the Court who have received the largest number of votes in a secret ballot” (Art. 16(1) and (2)). At the same time, the Law limits the number of votes that a judge may cast to one vote (Art. 16(7)). Therefore, and as rightly pointed out in the Analysis prepared by the Office of the Constitutional Court, this procedure does not rule out a situation in which a judge receiving only one vote (e.g. because s/he votes for him/herself) will be considered as a candidate for the position of the President or Vice-President of the Court. There are doubts though, whether a person selected in this way may be regarded as a candidate of the General Assembly of the Judges of the Court within the meaning of Article 194(2) of the Constitution. The latter provision requires that candidates for the positions of the President and Vice-President of the Court be proposed by the General Assembly. As a result the Law may “hijack” the competence (and the will) of the General Assembly to put forward candidates for the positions of the President and Vice-President. Instead of selecting the person who received the strongest support of his/her fellow judges, the President will be free to select anyone from the list submitted by the General Assembly. Again, we have a situation of a statute superseding the Constitution. As for temporal provisions, the Law contains regulation that clearly aims at full paralysis of the Court. Art. 84(1) of the Law lays down the obligation to apply the Law to cases that were pending before the entry into force of the Law. This is linked to the obligation imposed by the Law (see also above) to rule on the cases in order in which applications are lodged at the Court (Art. 38(2)). The Analysis by the Office of the Constitutional Court stressed that the requirement to apply the Law to all cases that were pending prior to the entry into force of the Law raises doubts in the light of the principle of a democratic state ruled by law (Art. 2 of the Constitution), the principle of diligence and efficiency in the work of public institutions (the Preamble to the Constitution), the principle of the Court’s independence and its separateness from the other branches of government (Art. 173 of the Constitution), as well as the principle of the separation of and balance between powers (Art. 10 of the Constitution). Article 84(2) of the Law imposes on the Court the obligation to rule on the cases pending prior to the entry into force of the Law, within one year from the date of entry into force of the Law. Such a solution constitutes interference with the Court’s freedom to conduct its own business and interferes with the procedural discretion of the Court. The Analysis by the Office of the Constitutional Court makes a reference to the view expressed by the Court whereby “the legislator’s task is to create optimal conditions, and not to interfere in the process of adjudication by specifying the moment when the Court may consider a given case. (…) only in exceptional and justified instances may the legislator specify the maximum time-limit for the consideration of a case by the Court (…). Indeed, the Court’s independence requires that the Court be guaranteed discretion in adjudication, by excluding any impact of other authorities not only on the content of its rulings, but also on the process of issuing them”. There is a clear danger a backlog here. The side effect of art. 84(2) will be the Court’s inability to rule on cases that are lodged at the Court after the entry into force of the Law, as the Court will understandably shift its attention to all the cases already pending before the entry into force of the Law. Constitutional complaints by the citizens lodged after the entry into force of the Law will have to wait. This is the price to be paid for successfully packing the Court. Finally, two “jewels” in the crown of constitutional packing the Court. Art. 91 of the Law deals with the publication of the Court’s judgments issued between March, 10th 2016 and June, 30th, 2016 (the government has persistently refused to publish judgments of the Court claiming that they were vitiated by the procedural errors and lacked legal basis). The Law provides that the Court’s rulings “issued in breach of the provisions of the Constitutional Court Act of 25 June 2015” between March, 10th, 2016 and June, 30th, 2016, are to be published in a relevant official publication within 30 days from the date of entry into force of the Law. The above regulation again raises constitutional concerns. According to art. 190(2) of the Constitution, rulings of the Constitutional Court are to be immediately published in the official publication in which the original normative act was promulgated. There is thus a strong constitutional argument to support the proposition that constitutional concerns arise whenever any time-limit for immediate publication is set by statute. This is, thus, another provision of the new Law that clearly flies in the face of the rulings of the Court: the immediacy of publishing a ruling of the Court in a relevant official publication requires immediate action, without undue delay. Conspicuously absent from art. 91 of the Law is the question of the publication of the judgment of March, 9th 2016 (case K 47/15). Venice Commission regarded the refusal to publish this judgment as contrary to the principle of the rule of law. For the Commission such refusal constitutes an unprecedented move that would further deepen the constitutional crisis. The publication of this judgment must be seen as a precondition for finding a way out of this crisis. With the omission of this judgment from the new Law, ruling party showed its true colors and intentions. So much for a constitutional compromise ! What about the “midnight judges” elected by PiS in contravention of the Constitution and the Court’s judgment of December 2015? Analysis of the new Law proves that there is devilish logic behind PiS plan. It clearly brings to mind how V. Orbán tamed the EU and followed through with his own plan to pack the Hungarian Constitutional Court (I owe reconstruction of Orbán’s tactic to Professor Kim Scheppele). Orbán has introduced some changes in response to external criticism and claimed that the problem has been fixed and everything was back to normal. He entrenched the old system, while giving up on one or two of the most outrageous elements that he didn’t really need anyway. This strategy would stop the external criticism long enough for the EU to get the translation, study it and realize that they had been fooled again – but in the meantime, this would give more time for Orbán to consolidate his power. And then it would all start again. After many rounds of this back-and-forth, the external critics whittled away a few small elements of the system, but in exchange Orbán got to keep his illiberal and autocratic constitutional reform. In short, nothing really happened as a result of outside criticism. And then in the end, critics gave up and pretended that everything had been addressed. Professor Scheppele’s incisive reconstruction of Orbán’s “wait – see – act” strategy find its perfect application in the case of Poland. The Law under consideration is persistent in reproducing unconstitutionality in the hope that in the end the external outcry will subside and critics will tend to more pressing issues. The Law is enacted under the guise of cynical assurances of good intents and sincere concerns allegedly to put things right and bring the self-induced constitutional crisis to an end. Provisions most questionable and clearly unconstitutional (e.g. requirement of a two-thirds majority at the Court) were dropped at the very last minute (see above). The argument will go now that this dispels all constitutional doubts and that the Law is a result of good will of the ruling party and a reasonable compromise. This in turn will shift the blame towards the opposition. It will be pictured as a destructive, obstructive and anarchistic force, while the ruling party portrayed as playing the role of a noble knight in a shining armor. In the end of this constitutional foul play, public opinion will be left with the conviction that it is indeed so, and that there is nothing to worry about. The philosophy of the ruling party is this: “let’s give it another try and hope nobody notices”. Indeed V. Orbán would be proud of his Polish constitutional students. Last, but not least. What about Poland and Europe now? Notwithstanding all PiS rhetoric to the contrary, Europe must not be duped into believing that the Law signals a change of heart on the part of PiS. “Constitutional heart” of PIS continues to be black, mischievous and bent on annihilating the Court. Constitutional review has no place in the grand narrative of slogans built around total control, no-constraints and populist power to the people. It would be extremely short-sighted now for EU to cut Poland a slack as a result of the BREXIT and relegate Polish case to the margins of European politics. That would signal a weakness and confirm a total lack of a vision on the part of European leaders. BREXIT was fueled by the same sentiments that now engulf Poland. Europe must see things as they really are and not back down. Europe should not be fooled as to the real intentions of PIS: packing the Court and doing away with all checks-and-balances and the rule of law. It is my way or the highway and the Court must be taken over at all costs for years to come. Should Europe follow “business as usual” and look the other way, July, 7th 2016 will go down in history as the day on which Polish Constitutional Court was finally laid down to rest and shocking analogies with Belarus made. It is a paradox that one after the new Law has been passed, President B. Obama spoke in Warsaw in defense of the Court, Polish democracy and the rule of law. He said: “and as your friends and ally we’ve urged all parties to work together to sustain Poland’s democratic institutions. That’s what makes us democracies, not just by the words written in constitutions or in the fact that we vote in elections, but the institutions we depend on every day, such as rule of law, independent judiciaries and a free press”. Unfortunately, at the time of his gentle admonition, one of the institutions – the Constitutional Court – that made Poland a proud DEMOCRACY, was pushed into oblivion. I found extremely helpful, and acknowledge, the analysis and translation Notes on main legal problems arising from the new Law on the Constitutional Court (Report of 24 June 2016 by the Sejm’s Extraordinary Subcommittee for the consideration of Laws on the Constitutional Court) published on the website of the Constitutional Court (available here). With few modifications and slight renumbering, the Law adopted on July, 7th, 2016 reproduces the draft. The text below builds on this analysis and adds to it, where necessary. One should bear in mind here the Court’s dictum in its March Judgment (case K 47/15) that Full Court is composed by all judges of the Court who have capacity to adjudicate on the day of issuing a ruling. Old art. 69(2) of the draft Law stipulated that in the event of judges’ objections to a draft of a judgment (art. 68(5) – (7) of the Law), a two-thirds majority vote was required for determining a ruling on unconstitutionality. This was dropped and now art. 69 (1) simply provides that decisions of the Court require simple majority. Dropping the requirement of two – thirds majority might be easily explained by the tactics of constitutional give-and-take and cold calculus of gains-and-losses. It was clearly unconstitutional and contravened explicit wording of Article 190(5) of the Constitution, and as such indefensible. Sometimes it makes a lot of sense to back down on non-essentials in order to move forward with essentials on other fronts and PiS mastered this tactic to a perfection. For this tactic see also below part “Following the Orban’s playbook”. Let us not forget that the Court had already an opportunity to rule on such temporal regulation. In its judgment of March, 9th, 2016, it declared the unconstitutionality of a similarly worded temporal settlement. For an exception to this obligation see art. 85 of the Law. Here again we have an example of “copy-paste” of a regulation that has already been ruled unconstitutional by the Court (see judgment of March, 9th 2016, case K 47/15). The Analysis prepared by the Office of the Constitutional Court further points out that the provision of a 30-day time-limit for the publication of rulings may erroneously suggest that the observance of the said time-limit suffices to fulfill the constitutional obligation to immediately publish the Court’s rulings. In fact, the immediacy of publication should be specified with regard to each ruling on a case-by-case basis. The judgment of December, 9th, 2015, (case K 35/15). As argued in the Analysis of the Office of the Court, the wording “issued in breach of the provisions of the Constitutional Court Act of 25 June 2015” also raises serious reservations in the light of the Court’s independence (Art. 173 of the Constitution) and the separation of and balance between powers (Art. 10 of the Constitution). The Constitution does not entrust any public authority with competence to evaluate the accuracy of the Court’s application of the provisions of the Constitutional Court Act in the process of adjudication. SUGGESTED CITATION Koncewicz, Tomasz Tadeusz: Farewell to the Polish Constitutional Court, VerfBlog, 2016/7/09, https://verfassungsblog.de/farewell-to-the-polish-constitutional-court/, DOI: http://dx.doi.org/10.17176/20160710-100611. Sadly, the next government to come – assuming that that will be allowed to happen, must restore the constitution, the power of the court, reverse populist policies that in the medium and long term gravely damage Poland, and clean out the civil service, the military and the courts. With each passing day, this becomes harder. This is the same approach used by Erdogan in Turkey, Orban in Hungary and Putin in Russia. Historically, it is the tactic used by Hitler, Stalin, and the Stalinist regimes that took over Eastern and CentralEurope in living memory. Why is it allowed, Poland? Why are you allowing a return to dictatorship – under a cult-like figure such as Kaczynski? He is one man.. you are a nation. Take back what is yours. 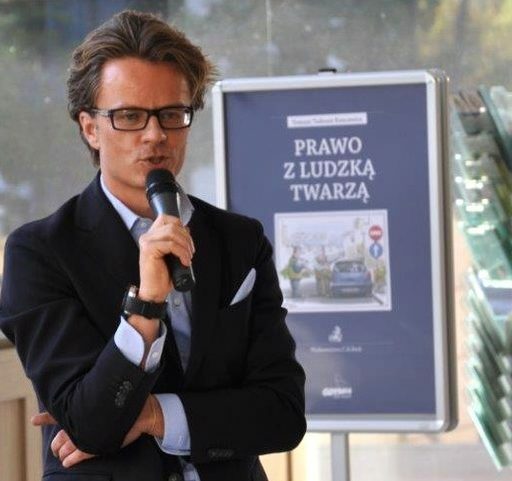 @Jack Dunster not the mention – Civic Platform in Poland. Nicely written, but author wasent mention political situation arose at the time of elections. When Civic Platform (PO) overtook the Constitutional Tribunal Act and attempted to introduce its candidates with violation of the constitutional duty to obey Sejm’s rules of procedure (the deadlines for submitting applications, giving opinions, delivering publications – the law was invalidated with ex tunc effect). It terrifies me that your analysis were lacking of that aspect, which explain most of the ’not elegant' moves of the current government.